Before mapping your subjects and authorising an app you must first setup a connection between Bromcom and Assembly. Once you have completed the setup, it may take 10-15 minutes for us to extract subjects from Bromcom. 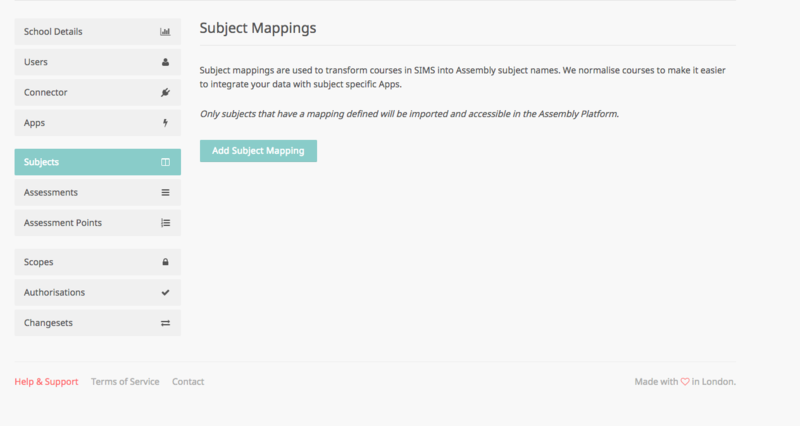 Mapping Bromcom subjects to Assembly subjects allows you to pull classes from a specific subject in to the Platform. You'll first need to log in to the platform. You may need to consult your data manager or someone with access to Bromcom. If you are greeted, with the below screen, it may be that we have not yet extracted subjects from Bromcom. If you completed setup more than 15 minutes ago please contact help@assembly.education. 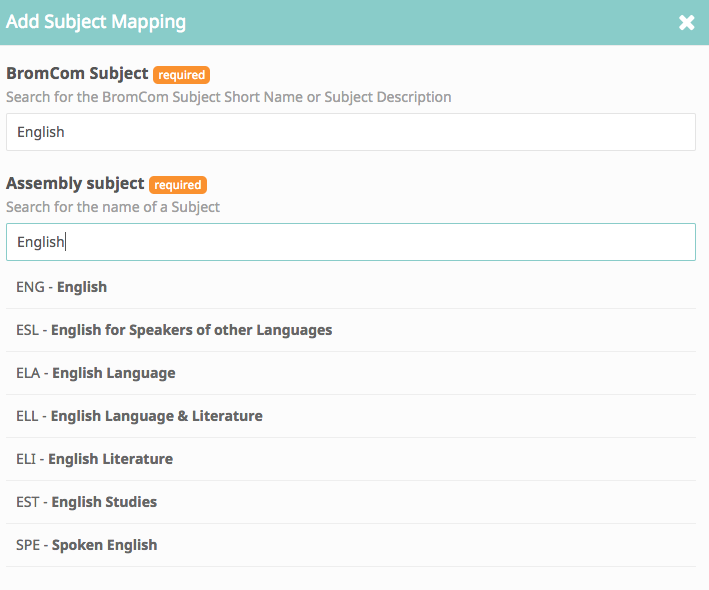 Otherwise, type in the subject that you want to map in the Bromcom Subject (eg. English) and search for the subject Assembly Subject field. You will need to map these to the relevant subjects on Bromcom. If you aren't sure of the subject codes, the below section explains how you can find it out. To find the specific classes that you're trying to pull in to the Platform, first go to the Curriculum module from the main Menu. Then click on the Classes option underneath Curriculum. Click Find to locate the classes. You can now use the filters on the left hand side to narrow down your search. Once you find the class or classes that you want to pull through to Assembly, make a note of the Subject column. Multiple subjects from Bromcom can be mapped to one Assembly subject, so repeat this process as many times as you need to cover all the subjects and classes you need.